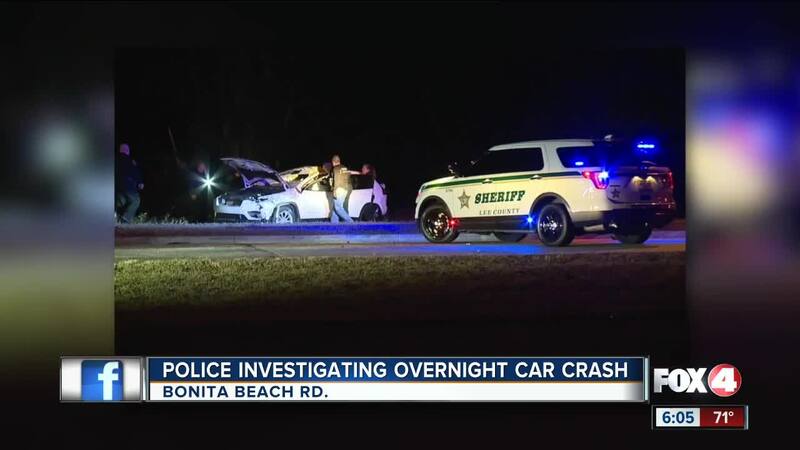 COLLIER COUNTY, Fla. — Investigators are working to find out more about a crash on Bonita Beach Road early Thursday. A Fox 4 crew at the scene says a white SUV appeared to have rolled over a block off Old 41 west of the train tracks. There was heavy damage to the railroad arms that are there to keep cars off the railroad tracks when a train is coming. The eastbound lanes of Bonita Beach Road were shut down for a while. Our photographer spotted two Collier Conty sheriff's deputies wearing tactical vests with the words "Narcotics K-9" on the back. Count on us to follow this story and update you.